Alberto E. Rodriguez/Getty ImagesSinger Judith Hill was on a private jet with Prince when he fell unconscious six days before his death. 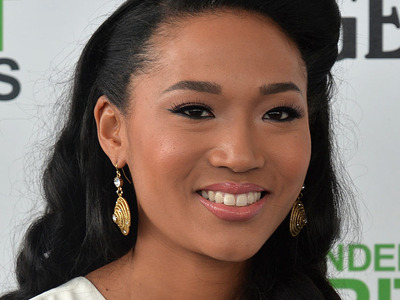 Grammy Award-winning singer Judith Hill revealed she was with Prince when he fell unconscious and was rushed to the hospital just days before he died of an accidental overdose. The two were aboard Prince’s private jet flying to his estate outside Minneapolis on April 15 when Prince suddenly became unresponsive mid-conversation, Hill told The New York Times. “His eyes fixed” before he nodded off, Hill told The Times. “We knew it was only a matter of time; we had to get down. We didn’t have anything on the plane to help him,” she said. Prince’s longtime friend and aide, Kirk Johnson, the only other passenger on the jet, alerted the pilots, who made an emergency landing in Moline, Illinois. Paramedics revived him on the tarmac with a shot of an opioid-blocking medication, and the singer was awake and talking before he arrived at a nearby hospital. Prince’s addiction to prescription drugs would cause his death just six days later. Hill has a connection to another pop icon who died suddenly. In 2009, Hill was chosen to sing with Michael Jackson for his “This Is It” concert series. Jackson died less than three weeks before the series began. Read the full New York Times reporthere.